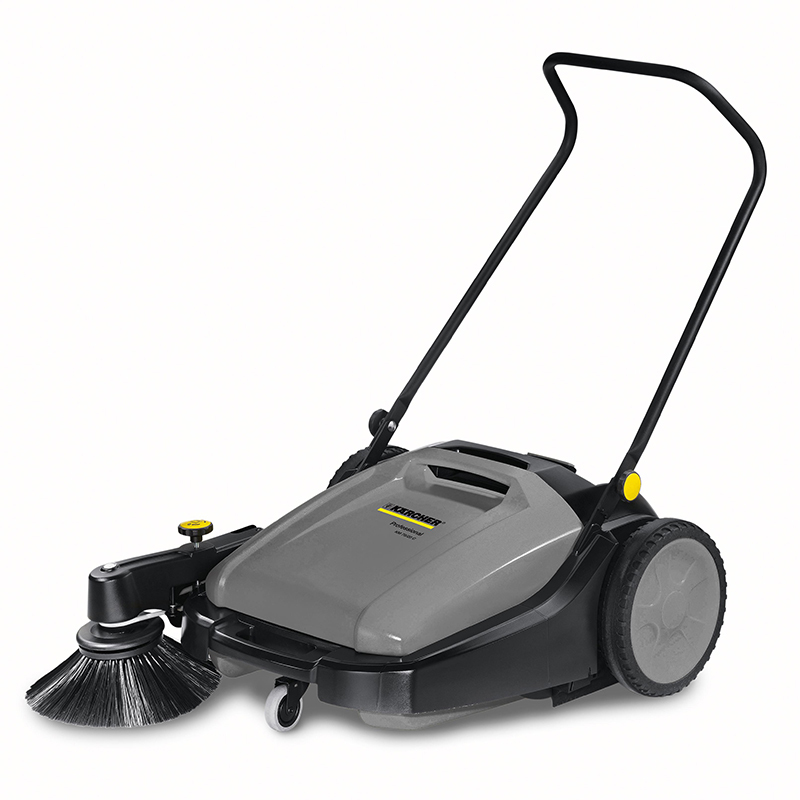 KARCHER KM 70/20 C PUSH SWEEPER is a modern designed push sweeper for cleaning smaller indoor and outdoor areas. Sweeping performance up to 2.800 sqm. Lightweight compact design is easily maneuverable around congested areas and can be pushed with little effort. Almost dust free sweeping due to controlled air duct and fine dust filter. 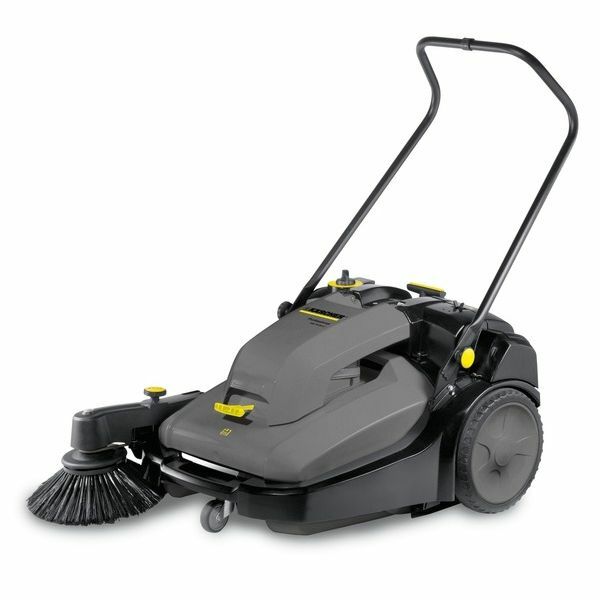 Main roller brush easily adjustable in six positions and driven by robust metal pinion drive. Drive via both wheels ensures equally well cleaning results in left-hand and right-hand bends. 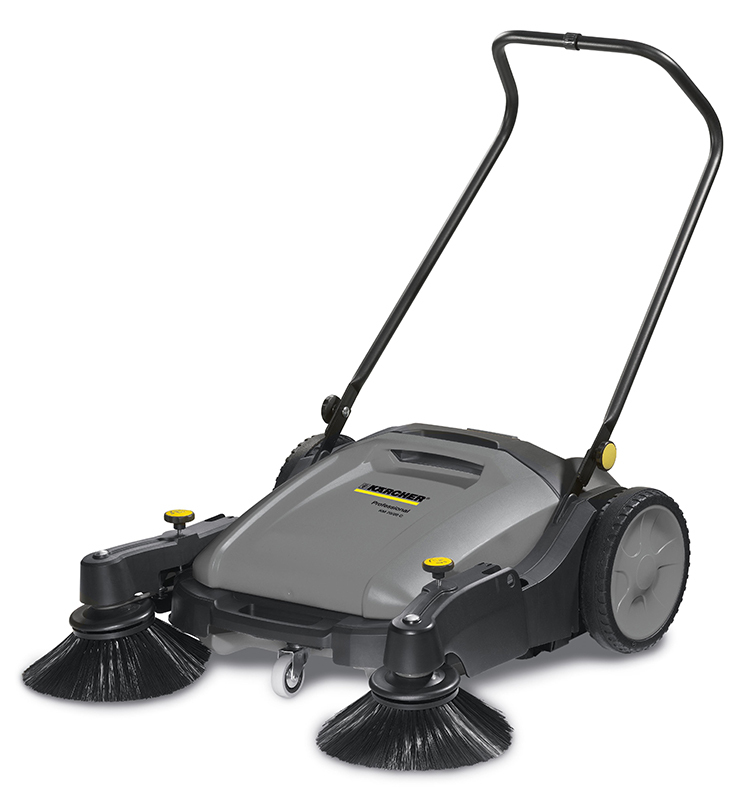 Karcher KM 70/20 C Push sweeper driven via both wheels so that the unit sweeps equally well in left-hand and right-hand bends and also offers very good straight-line control. Moisture proof universal bristles for all surfaces. Fleece fine dust filter, robust plastic frame, easily adjustable main roller brush and retractable side brushes.